It’s time for the weekly (ok, technically bi-weekly since I was at the beach last week for a very rejuvenating weekend with the parentals) #mtboschallenge 3-2-1 Sunday Summary! 3 Things I’ve Done Recently That Were Not Half-Bad. …Except for “why is -1 used for inverse notation?” (unless you count “because it is” as an answer). I did a little googling this weekend and all I was able to come up with was if you want to perform f on x, you write it f(x). If you want to perform it twice, you could write it as f(f(x)), or f²(x). Following that same notation, undoing f once could then be written as f‾¹(x). Anyone have anything better? 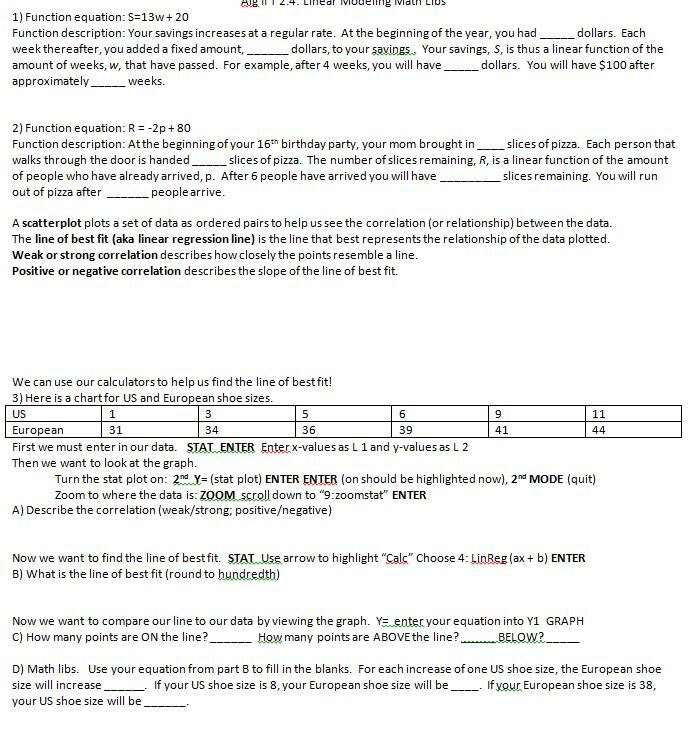 I found great discovery activity worksheet online and actually used the entire thing with limited modifications (I took out graphing the piecewise lines because we hadn’t discussed piecewise yet and one battle at a time, amirite?) It went over great! The kids were enthralled at using their calculator to do this. (Actually, they were more amazed that it could graph y = |x + 2| than the fact it could give you a line of best fit when given 15 different ordered pairs.) Hint: Have them turn their grid on (under “format”-the top middle button on TIs) for better transferring of graphs to paper. Totally stealing from Mimi’s (@untilnextstop) fabulous worksheet, I made some math libs of my own. (doc file here)We did these by hand (well, as in putting equation in point-slope form and then converting to slope-intercept). Things I need to change: kids have no idea about having to pay a fare just for getting in a taxi nor do they understand #4 at all. I should throw something in there about having to pay for both AOL and internet service just to complete date myself. Also it’s best not to have a question about a rod expanding or growing if you’re teaching high school boys. 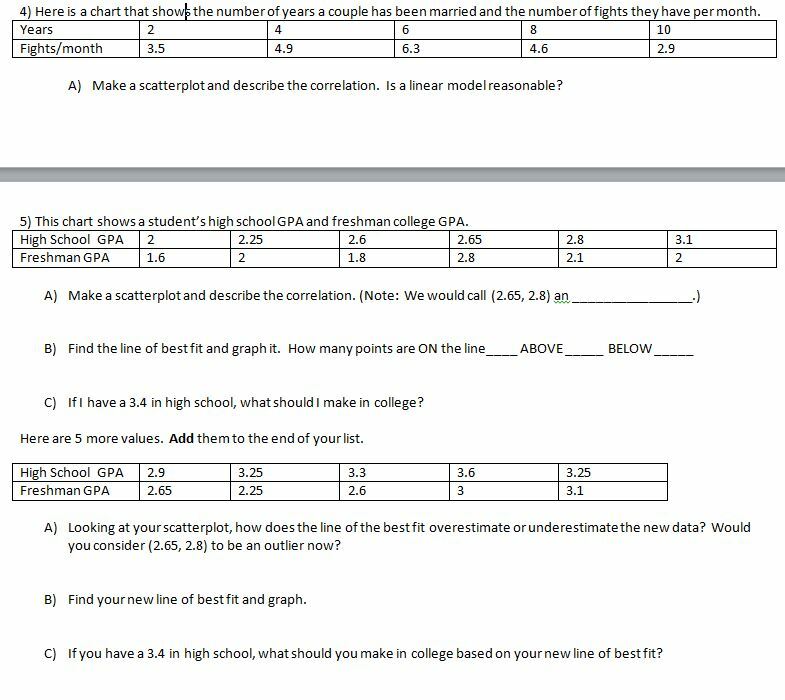 Then I made another worksheet to use the linear regression on the calculator. (doc file here) As I said, I did steal the first two questions directly from Mimi. 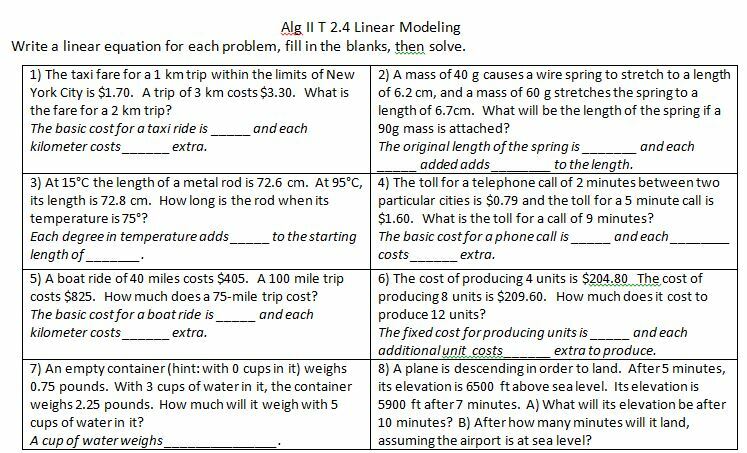 One thing that I didn’t notice until a kid pointed it out is that the answers to 4D don’t correspond very well to the chart, which led to a great discussion of what the line of best fit can and can’t do for us. You can’t see it in the picture, but the next problem has the y-scale in billions which was something good to discuss as well. We then did Mathalicious’s Reel Deal lesson, which was using a scatterplot and line of best fit to determine the movie lengths. Maybe it was because I was pressed for time, but it did not go over as well as I thought it would. 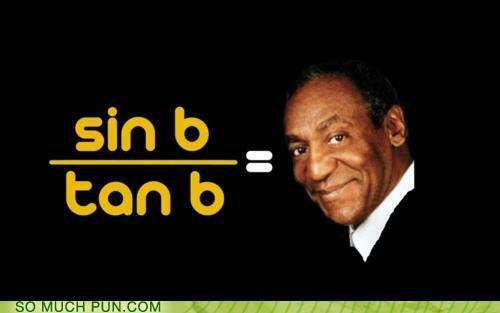 I think next time I will just add it as another example to discuss in class. 2. Time is still a huge stress, since we are also nearing the end of the nine weeks and I am struggling to get in 6 major test grades. Do I just have one test on a single topic to get the required six? Or cram a lot of material in to have the test cover more than one topic? Ugh. 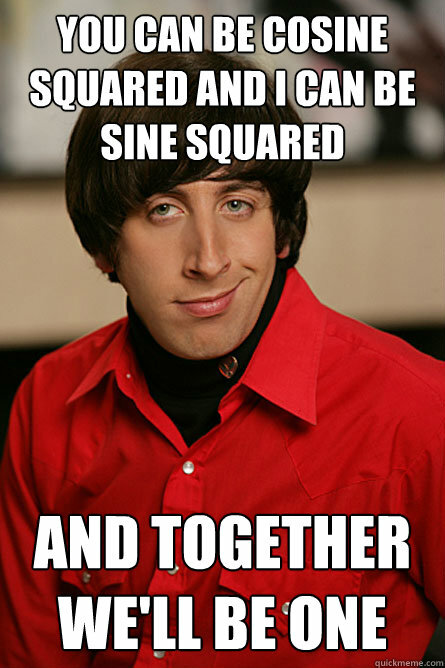 Trig Identities!!!!!!!!!!!!!!!!!!!!! I could do those all day.